Most people spend the first stage of their lives going to school and then move on to other things. Editing professor Linda Taylor got married, had a family, then went back to school—not just one, but two schools. At once. Linda was first asked to join the Professional Writing staff at a writer’s conference in 2009 just after she and her family had moved to Delaware County. Linda worked for Livingstone, an editing company just outside of Chicago, for many years, and she had taught workshops about editing and publishing at conferences, but never for college students. “I was just thrilled with the opportunity,” she said. But with the opportunity came a requirement. Linda had to return to school for her Master’s degree while beginning to teach classes. At first, Linda planned on taking online courses since it would be easier, but she realized she needed experience in a classroom with college students to better learn how to teach at Taylor. So she enrolled at Ball State University. “It was good then to see other teachers, how they were doing things,” she said. She sat in on her professors’ undergraduate classes and even taught a couple of class periods herself, drawing from her experience in the publishing world. While teaching at Taylor and being a student at Ball State, her third son Sean was attending Taylor, and he also gave her insights about how she could better relate to her students. 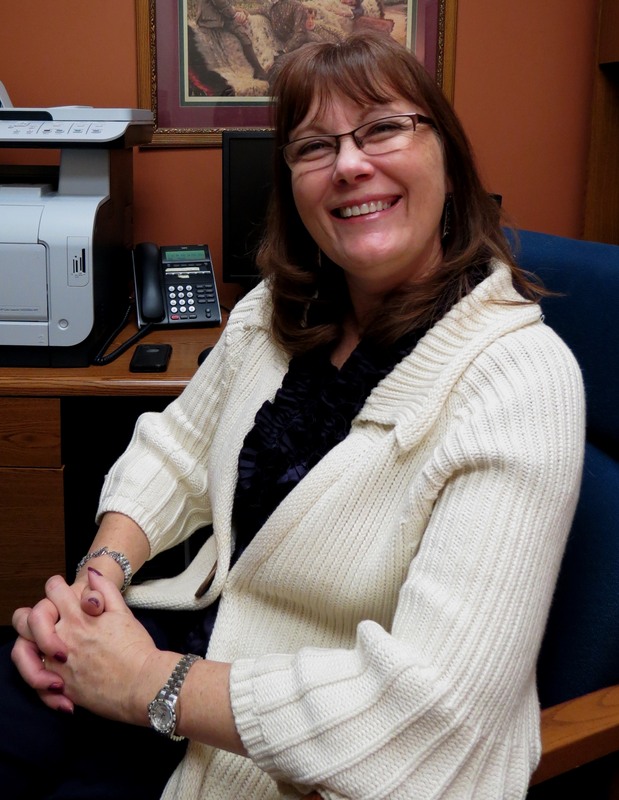 “I came in [to Taylor] with experience editing, but not necessarily teaching editing.” That changed as Linda continued to teach at Taylor, adding Business Writing to her repertoire in the spring of 2013. She finished her degree in the fall of 2013. Linda recognizes the various uses for a Master’s degree, but she doesn’t recommend writing students default to it or jump in right after college necessarily. “I wouldn’t go on to grad school as a default, because you haven’t got a job and can’t think of anything else to do. Because it’s expensive and it takes commitment, and it’s school again. . . .” However, she knows some writing jobs up the corporate ladder require a Master’s. She suggests to “be strategic about it.” Students should look at whether they want an MA or an MFA (Master of Fine Arts) degree. Some schools offer MFAs with specific concentrations as well. Now that she’s once again graduated, Linda continues to teach and spends more time freelance editing. She admits, “It was a whole different thing to go back to school” so long after graduating college. But, she added, “I think that knowing that I had a reason to be there . . . knowing that I had this little carrot at the end of the stick of, ‘This is for being able to teach, Linda,’ that’s what got me through some of the tough stuff. To learn more about Linda, check out her website and blog.